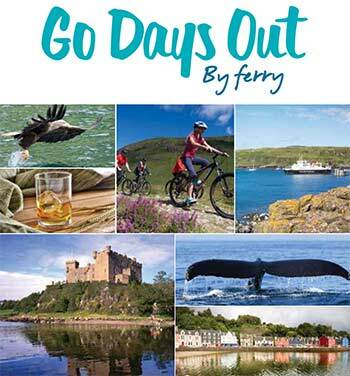 Caledonian MacBrayne has launched the 2015 editions of its popular Go Explore and Go Days Out travel brochures. The two publications feature new and exciting opportunities for visitors to Scotland’s west coast, highlands, islands and peninsulas with suggestions for great value day and longer trips, to attractions the length and breadth of the west coast. Go Days Out offers a range of great options to help you enjoy and discover more of the islands and peninsulas of the west coast. From visiting ancient castles to guided wildlife and walking tours, award winning gardens, the chance for close encounters with whales, dolphins, seals and basking sharks, great value family days out or simply relaxing café and supper cruises. New additions to Days Out this year include sea safaris on Islay, cruises to remote St Kilda, a swimming with seals lagoon experience, wonderful gardens on Colonsay and Ardtornish, historic castles at Inveraray and Dunvegan and much more. Meanwhile, Go Explore is laden with everything from the summer timetables and pricing, through to tips of how to unearth some of the west coast’s hidden gems – a one-stop guide to help inspire, plan and guide your travel to the west coast Scottish islands. There are features about the best of Scottish produce and where to find it, special deal vouchers, as well as top tips on planning your Scottish west coast getaway, including accommodation suggestions. There’s new information on taking to the islands by bicycle, as well as a handy guide on where to learn Gaelic, and a special feature from well-known travel writer Robin McKelvie exploring his own special island family holiday.